We knew one day soon Sophia would be ready for taking the Learner’s Permit Test at the DMV, and in some ways it’s been a long time coming. Like many kids her age these days, she really has little interest in obtaining her drivers license. She turned 16 recently and is still completely unmotivated to drive herself anywhere. 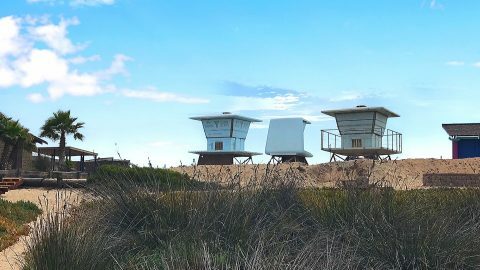 For some time we’ve cajoled her, prodded her, encouraged her and even demanded that she study the online courses needed to prepare for taking the Learner’s Permit Test. It has been like another chore to her, or another homework assignment in a sea of many. 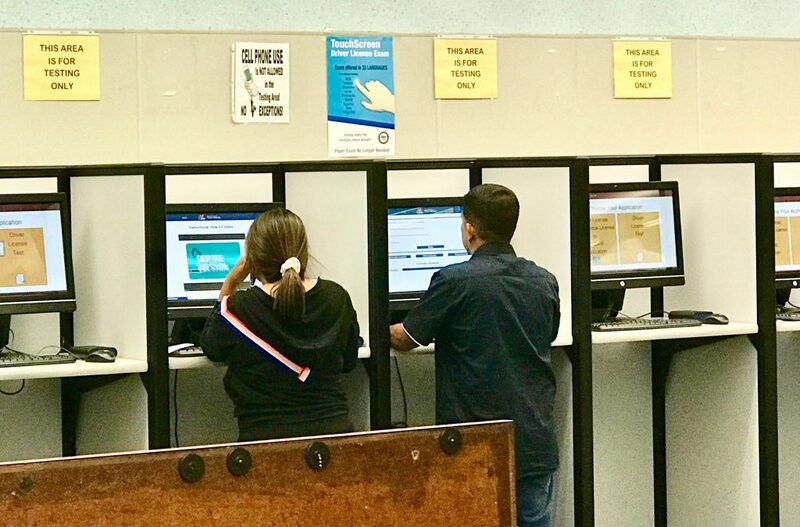 But, we got her there – and here’s how we helped our daughter get ready for taking the Learner’s Permit test at the DMV. At the beginning, driving with Sophia was a little…harrowing. I don’t know about you all, but when I was Sophia’s age none of us could get our driver’s licenses fast enough! 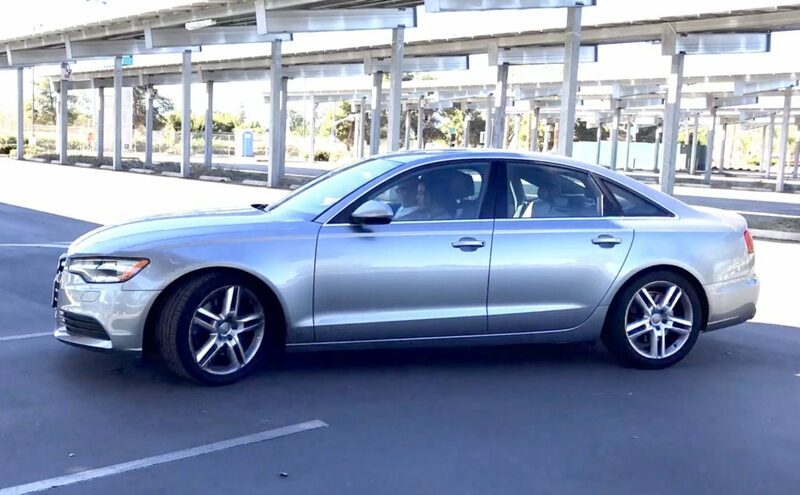 We were there at the DMV on my 16th birthday, my mom sitting nervously in the waiting area while I drove some grumpy man around to prove I deserved the right to drive a car. It was an ecstatic feeling to have proof of my adolescent maturity. If this girl thinks she’s going to be driving that Audi around, she’s loco. Leading up to today, we’ve had some in-depth conversations with Sophia about the freedoms a drivers license would afford her. She could drive herself to school! Drive herself to the mall to meet friends! Get a job and drive herself to and from work! The job is what hooked her. Having her own money to spend as she likes, and the license to drive there and back – that’s what did it. Sophia didn’t see the need to get her license. She reasoned that she could just take an Uber to work and back. OMG what have we done? An Uber???? Evidently, rationale is not popular with teens. Through recommendation from a good friend, we signed Sophia up for an online drivers education course. 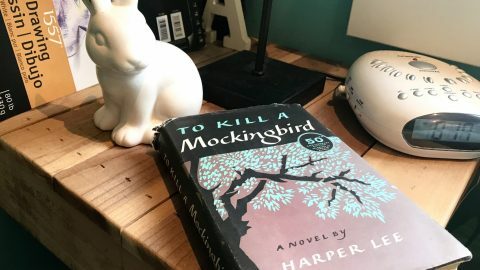 This course is no longer offered in public schools, and we thought she would prefer to learn this way anyway. 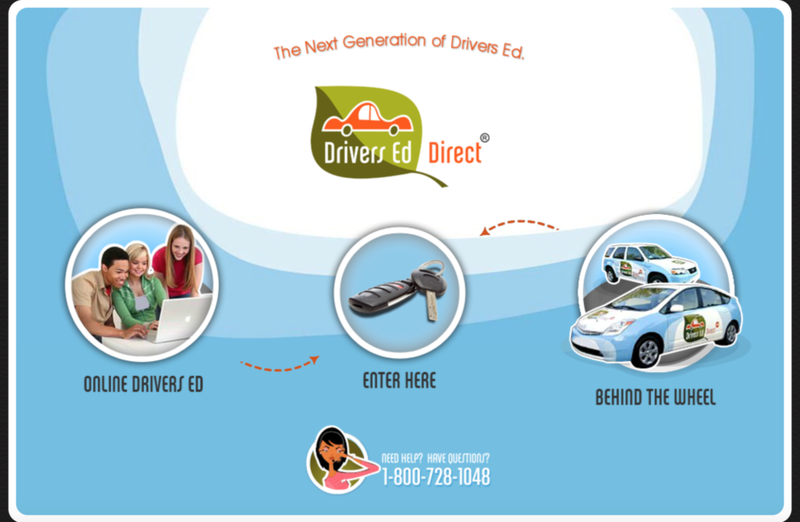 Our friend recommended, and we chose, Driver’s Ed Direct, which was structured with a series of lessons divided into sections. A test followed each section before Sophia could proceed to the next, ensuring she had learned the material. See how fun they’ve made Driver’s Ed now? No more boring classes at school. At the end of the course, she is supplied with multiple options to take sample tests similar to the ones at the DMV. (She must have taken these practice tests at least 20 times at our insistence). Her course completion triggered my access to request an official form, which is mailed to us in order to take a physical copy to the DMV. Like anything with the DMV, nothing is easy. I went online to the California DMV website to research exactly paperwork what she needed in order to take the official test. Well. It’s a lengthy list, and it was not easy for me to obtain all the necessary documents! With all this in hand, we made an appointment at the DMV for Sophia to take the test. We learned from some of Sophia’s peers that we may not expect to pass the test the first time. And they were right. Honestly, there is so much going on at the DMV to make a kid nervous. The lines of people, the surly employees, the photo (oh yes, they have to take a photo so get ready for that surprise meltdown). We even had a couple of crazies making the occasional ruckus. The DMV is such a classy, hospitable place, especially when taking the written test for the drivers permit. Sophia did not pass the first time. Or the second. (Note: you must wait seven full days before trying again. This means a week and a day – we learned this the hard way.) You are allowed three attempts before the paperwork must be started all over again. On the third attempt, Sophia felt confident she would pass and so did we. AND SHE DID! 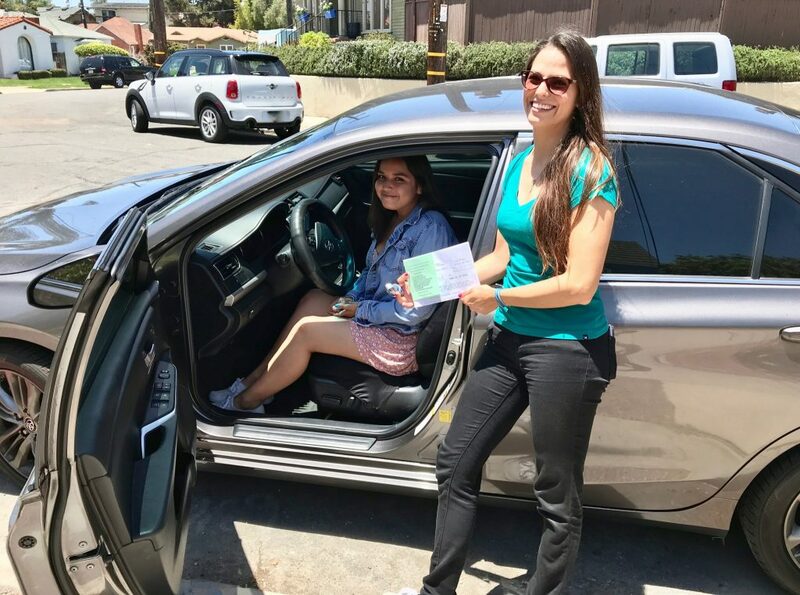 After obtaining that Learner’s Permit, Sophia must now complete at least six hours of professional education behind the wheel. We are required to hire a professional driving instructor (you know, the ones with breaks on the passenger side for those just-in-case moments). When this instruction is complete, we will get yet another certificate to present when Sophia goes for her actual driver’s test. 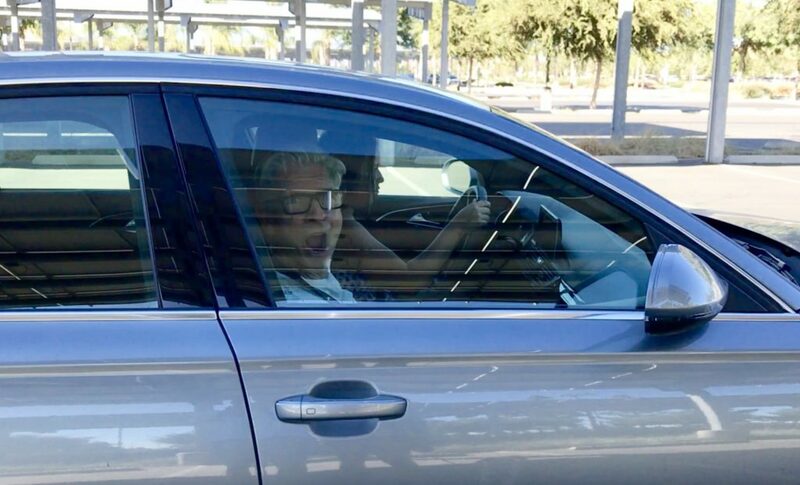 Sophia was so excited to have her driving lesson, except for when her instructor made her get on the freeway! So here we are with a piece of paper that says Sophia can legally practice her driving on San Diego’s roads and highways. If all goes well, in six months she can get her actual California Drivers License. Or maybe become an Uber driver, which seems like it might kill two birds with one stone?